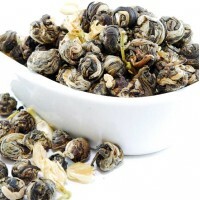 Pu Erh pearls teas; unlike traditional pu erh cakes, the extra large size of this unique pearls tea perfectly shaped for a different tea brewing experience. It is earthy, smooth and comforting. 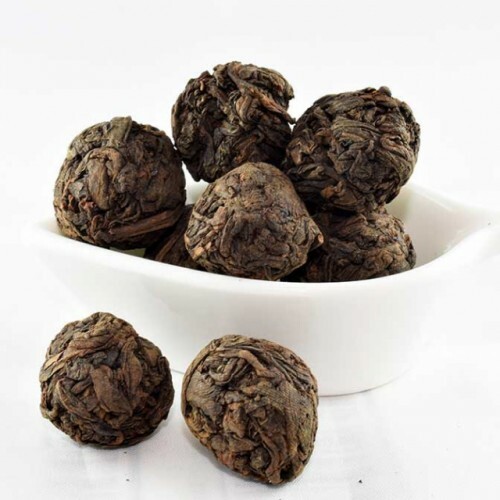 The extra large shape of this pu erh pearls just perfect for teapot brewing experience, to enjoy a stronger taste, simply drop an additional pearls into your favorite teapot and it leaves will unfurled and distribute the stronger and even flavor. As the leaves unfurled fully during the second infusion, it taste as well as it first infusion. For travelers, pop one into your lovely travel tumbler and happy tea sipping. Lastly, don't forget to share the love. The large balls are nice that you can drop just one into tea infuser and don't have to worry about measuring. Little more about pu erh teas; There are two types of pu'er tea: sheng ('green' or 'raw') and shou ('ripe' or 'cooked'). Our Pu Erh pearls teas are shou pu erh; which is riped or cooked. Steep at 212° for 5 minutes. 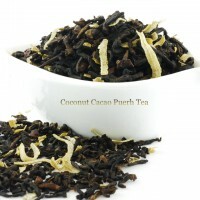 Jasmine Dragon Pearl Tea Jasmine Pearl Green consists of the youngest green tea leaves scented 8-..
Coconut Cacao Puerh Tea This unique blend of organic loose leaf Pu-erh with cocoa nibs and non-ar..